You are here: Home / News / What’s cute, furry and can disable a particle accelerator? THE HEAVY snowfall in central Europe so far this year is making life hard for stone martens. A weasel-like animal, half a metre long with brown fur and a white blaze on its chest, the stone marten has tiny paws too small to keep it suspended on soft snow. It thus has an endearing habit of walking along cross-country ski tracks, where the snow is packed harder. It also has a less endearing habit: gnawing on rubber. 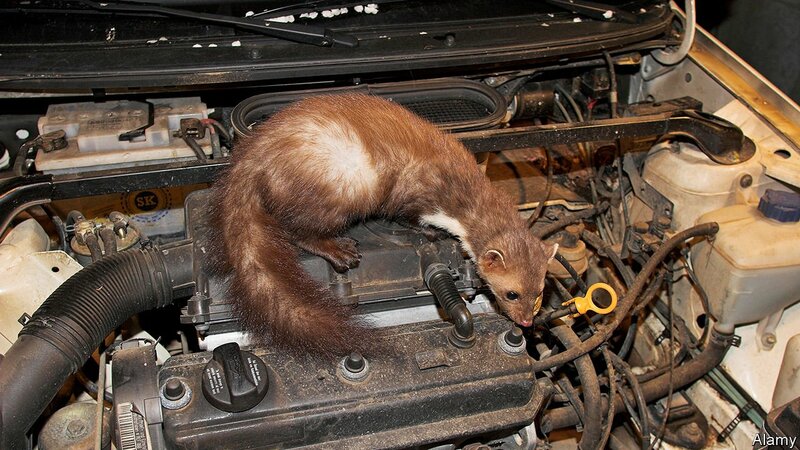 Specifically, it likes to crawl into car-engine cavities and chew on the wiring. As a result, in Germany, car insurance that covers Marderbisse (marten bites) is a must. According to GDV, an insurers’ group, martens were the fourth-leading cause of non-collision auto damage in Germany in 2017. They chewed through €72m ($ 79m) worth of cables, up from €66m the year before and €28m in 2005.